Dr. Daniel Phillips is a native Rochestarian and graduated from Brighton High school. After attending Syracuse University with honors, Dr. Phillips graduated from SUNY Buffalo School of Dental Medicine in 1991. The following year was spent at the Eastman Dental Center, where Dr. Phillips received a degree in Advanced Education for General Dentistry. Dr. Phillips joined his Father's dental practice, which was established in 1958 at the same location. 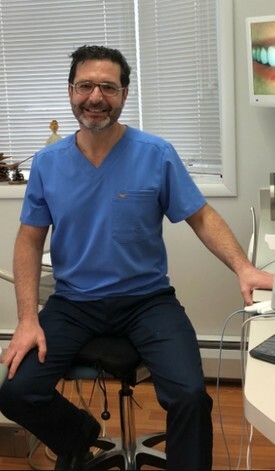 Dr Phillips is active in local and national dental organization including American Dental Association, Monroe County Dental Association, New York State Dental Association, Alpha Omega Dental fraternity (past president) as well as the prestigious Spear Study Club.